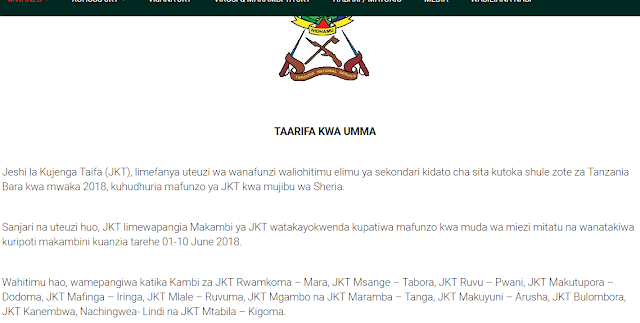 Home / NEWS / PUBLIC NOTICE ABOUT FIRST ROUND SELECTION TO JOIN JKT. 2018. PUBLIC NOTICE ABOUT FIRST ROUND SELECTION TO JOIN JKT. 2018.